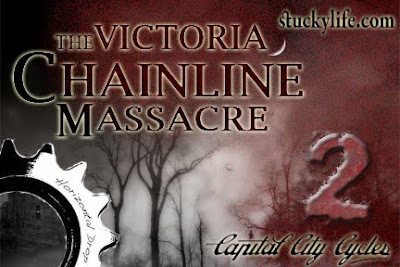 Stuckylife |: Victoria Chainline Massacre 2 This Friday! Victoria Chainline Massacre 2 This Friday! Winner should finish in less than an hour. No bag or lock required, bring your lights! Dang, a lot of us are going to be at the VCL wrap up at Fernwood Inn. Wish I could be in two places at once. Have fun.